An image of the sculpture Nature's Secret on the campus of the University of Northern Iowa in Cedar Falls, Iowa. 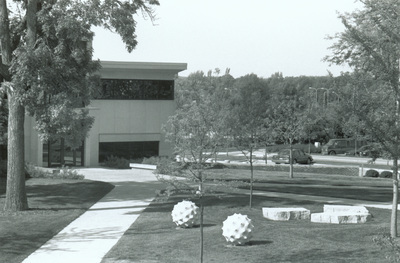 The sculpture by Janet Loftquist was installed north of Lathan Hall in 1994 and is an Iowa Art in State Buildings Project commission. "Nature's Secret landscape" (2019). Art on Campus Photographs. 30.